The perfect blend of curry flavors and earthy richness. Made with and without salt for those with like to add just the right amount of salt or none. Can be paired with rice, pumpkin, meats and veggies. 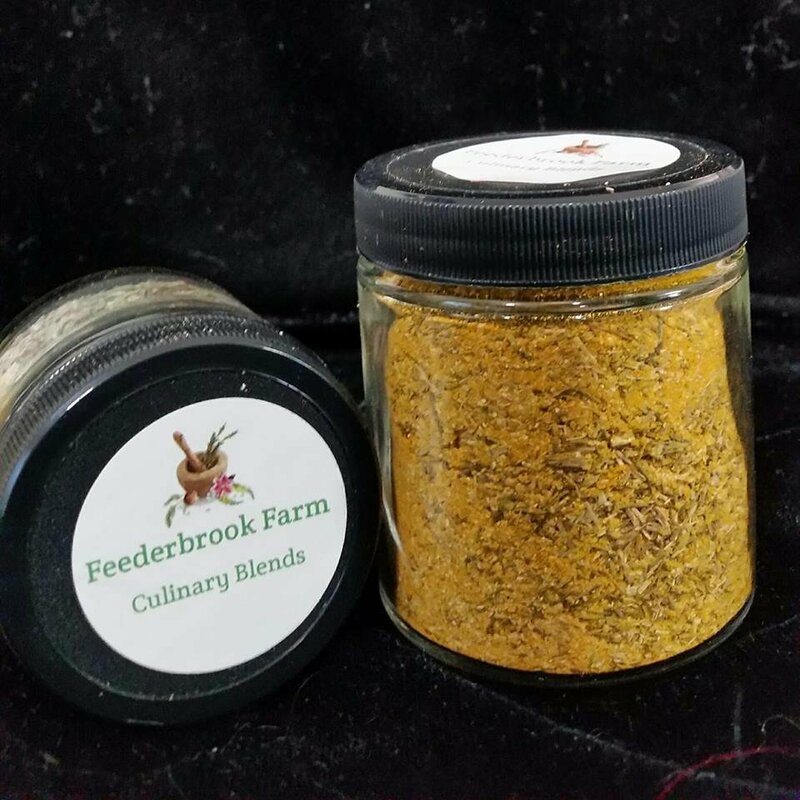 Many of the herbs in this blend were grown and dehydrated here at Feederbrook Farm.